The sport has seen tremendous growth in the province, with new lacrosse associations sprouting up and droves of young athletes signing up for programs. Meanwhile, revenue for the Sask. Lacrosse Association has more than doubled. 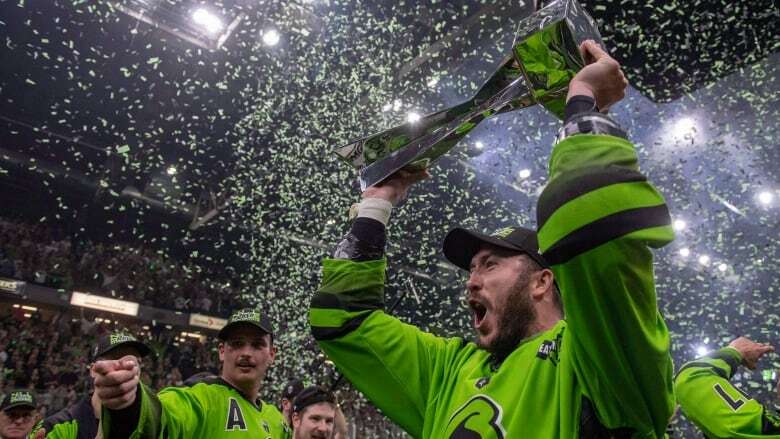 The executive director of the Saskatchewan Lacrosse Association (SLA) says the 2016 arrival of the Saskatchewan Rush has been "hugely important" for her organization. The arrival of the Saskatoon-based team has also had a huge financial impact on the SLA. 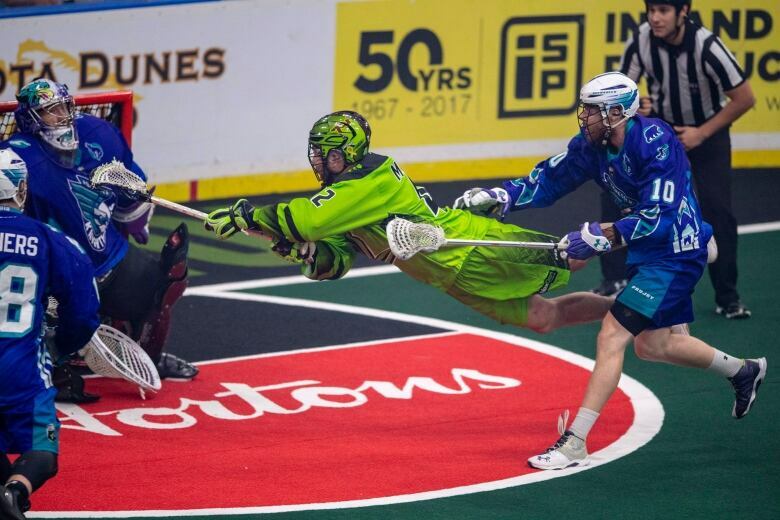 According to the SLA's financial statements, its total revenue jumped to $1,160,750 in 2018 from $454,947 the year before the National Lacrosse League club arrived. That spike can be almost entirely attributed to a dramatic increase in fundraising, from a total of $5,965 in 2015 to $616,664 last year — a more than 100-fold increase. Almost all the association's fundraising comes from the 50/50 program it runs at Rush home games. There have been single games where more than $100,000 has been raised for the association. Pottle said the funds have allowed the association to cut registration fees almost in half to make the sport more accessible to youth. Some of the proceeds have gone to local associations so they could purchase new jerseys, and to get new associations off the ground with the purchase of equipment. The extra resources have also helped cover the expenses of the five teams in the association's Team Sask program — certifying more coaches and officials and paying for more floor time. However, Pottle said the Rush's impact extends well beyond the 50/50 proceeds. Rush game rakes in $100K for lacrosse in Sask. "The Rush are phenomenal partners," she said. "They want to grow the game just as much as we do and they jump on with so many different things." 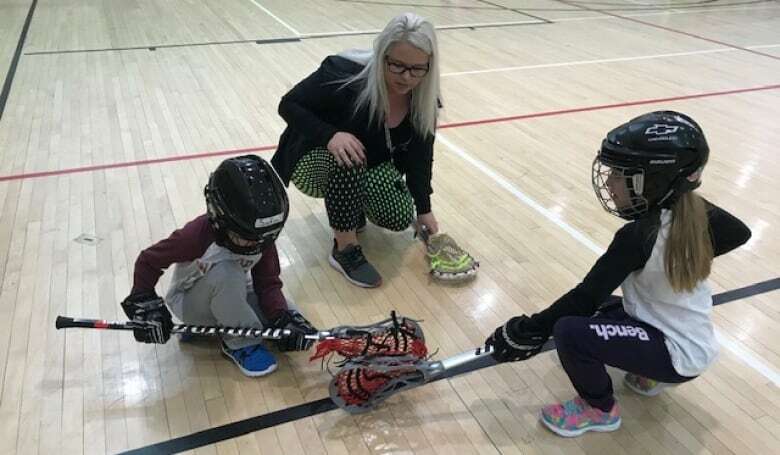 Pottle credited the participation of the Rush and its players for the increased popularity of lacrosse clinics in Saskatchewan schools, where some Try Lacrosse programs now have waiting lists. Pottle said the professional lacrosse players provide inspiration to the association's young athletes, showing them it's possible to get to the professional level. She noted the effect is even more pronounced because there's a local player on the team. "Especially now, we have Zach Gould, who's on the practice roster, who is a Saskatchewan boy, who grew up here, who played lacrosse here," she said. "And it just gives these kids something to shoot for and heroes for these kids to look up to." She said there were about 1,800 members in the SLA before the Rush's arrival. The association now has more than 3,000 members. There are also new local associations, teams and leagues. Last year saw the debut of a new minor lacrosse league in southern Saskatchewan, the South Sask Lacrosse League. The province's first A league is getting underway this year. But Pottle said the sport's rising popularity has also accentuated a shortage of facilities for box lacrosse in the province. "We're still struggling with it," she said. "Unfortunately, we have players that have to go outside their home association to smaller communities 20 to 30 minutes outside." Tammy Lowey started up the Kelvington Lacrosse Association after her family was first introduced to lacrosse during the Rush's first championship run in 2016. Her family now has season tickets and regularly makes the two-and-a-half-hour drive from Kelvington to Saskatoon to see the Rush play. "We got kind of addicted to it the first playoff season," she said. "So we've gotten season tickets every year since, so we go to as many games as we can." She said her kids fell in love with the game, but the closest existing lacrosse association was almost an hour away in Sturgis, so she started an association closer to home. Lowey was hoping for 30 kids to sign up for the association's first field lacrosse season last year. Instead, she got 70 — drawing children from surrounding communities such as Rose Valley, Lintlaw, Wadena, Porcupine Plain and Archerwill. She is thankful for the help new associations like hers have received from the SLA in the way of jerseys and equipment, adding lacrosse has filled a hole that existed after baseball and softball teams in her area started to disappear. "It gives our kids something to do in the spring," she said. "They love it and they can't wait to get out there and start playing as soon as the snow is gone." Kelly Provost is a newsreader and reporter with CBC News in Saskatoon. Email him at kelly.provost@cbc.ca.